The list of compost ingredients is endless. 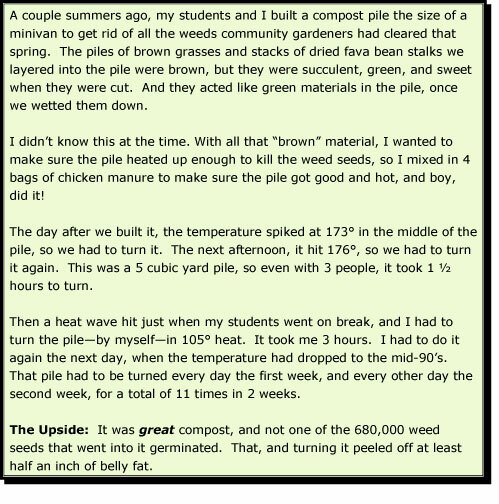 Beginning gardeners always wonder what to compost. Really, the question isn’t ‘what can I compost?’, but what can’t I compost. Anything that was once alive can be composted, but some materials require special handling. Ideally, you want plant materials of all ages and types in the compost pile, from many different kinds of plants. The photo shows the "6 Compost Food Groups". 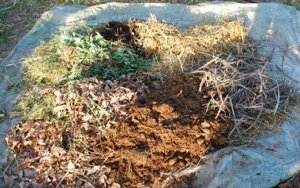 Clockwise from top: straw, stalky materials, manure (horse manure, in this case), tree leaves, green, leafy material, and a compost activator (compost from the center of an old pile, in this case). 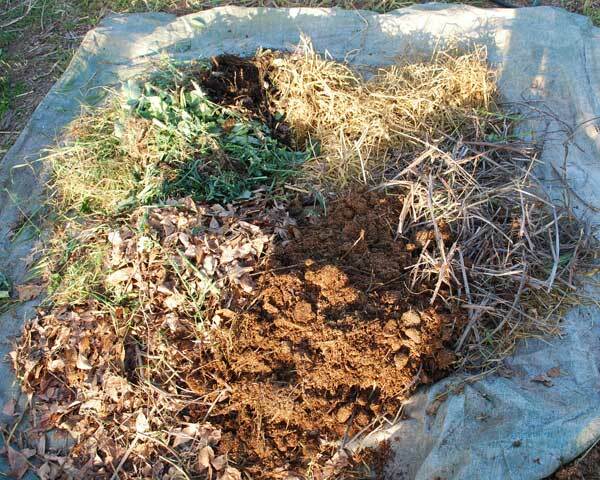 For a list of materials to generally avoid in compost piles, click Here. "Green" Compost Ingredients are higher in nitrogen, and break down very quickly in compost piles. They provide the nitrogen that builds the bodies of the bacteria and fungi that break down the pile. They’re usually green, leafy materials and succulent, tender stalks from younger plants. Kitchen scraps—vegetable peels and tops, the inedible parts of plants, coffee grounds, and blue-and-gooey stuff from the fridge—are also "green" materials. So are lawn trimmings. So is anything that has passed through the digestive tract of an animal, even though it comes out brown. I’ve used commercial compost activators and had excellent results, but I’ve also had excellent results using a few handfuls of good garden soil, and/or a shovelful or two of material from the middle of an active compost pile. Compost activators from your back yard or nearby gardens are adapted to local conditions and may have a survival advantage over imported microbes, but if you don’t have access to live compost or good garden soil, it’s a good idea to use a Compost Activator when you build a compost pile. 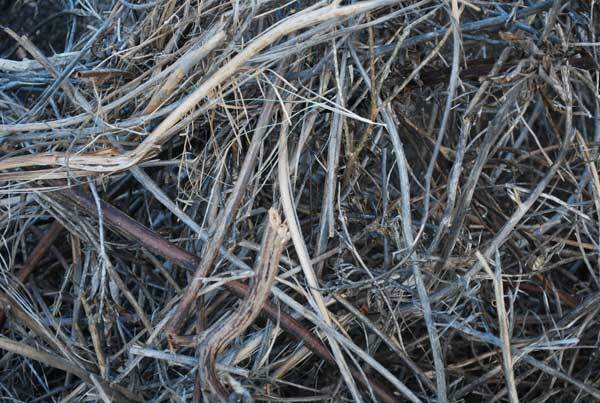 "Brown" Materials come from the coarse stalks and dried leaves of older plants, or chopped or ground woody materials. Dried tree leaves, straw, sawdust, and wood chips are good examples. So are shredded paper and cardboard. Brown materials are higher in carbon and compounds that resist breakdown in compost piles, but release a lot of heat once they do start breaking down. The greater the diversity of materials going into the compost pile, the greater the biodiversity of the compost produced at the end. Each compost ingredient added to the pile brings with it new populations of bacteria and fungi. Each part of the plant—leaves, stalks, and roots—breaks down at a different stage of the composting process, feeding different populations of bacteria and fungi. To increase the biodiversity of your compost, don’t use just one kind of brown material. 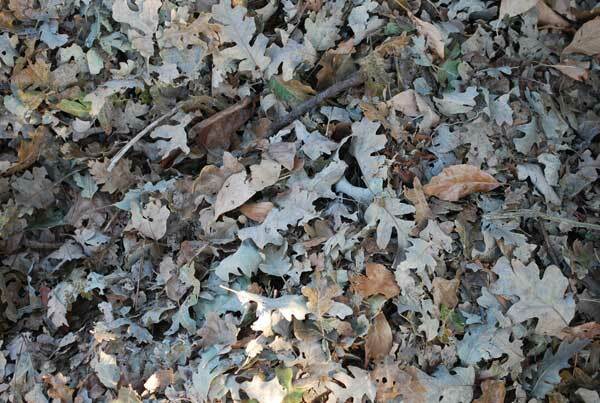 Use dead tree leaves (from multiple kinds of trees), dry straw, and shredded cardboard or paper. Toss in a few pine needles if the compost is destined for acid-loving plants. The trick is to vary the compost ingredients used to make the pile as much as possible. It may take some active gathering, but it’s worth the effort collecting materials, especially when they’re abundant and free, like tree leaves in the fall. For green material, definitely use kitchen scraps, but also add chopped green plant stalks, young weeds, and coffee grounds and filters collected from local coffee shops. 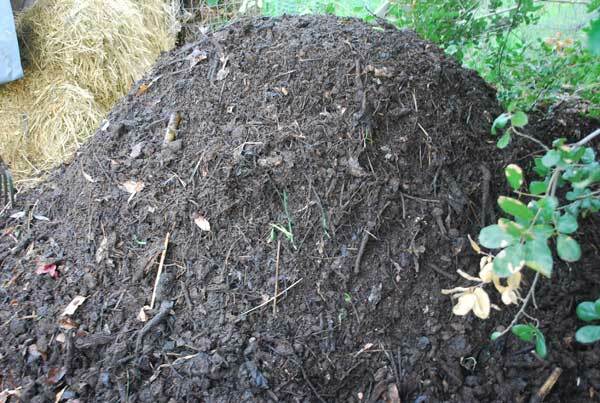 If you’re interested in hot composting, add some bagged chicken manure or stable waste to help the pile heat up. 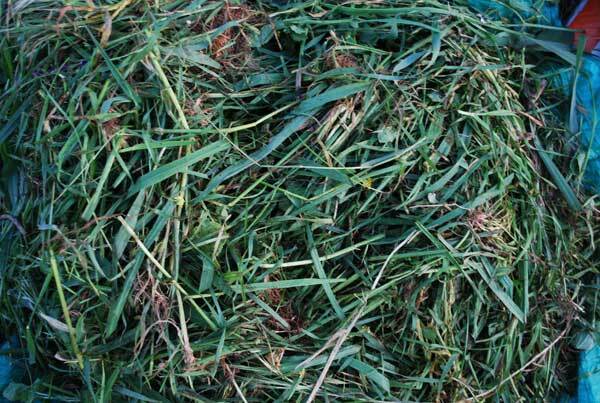 Confusion sometimes arises when young, green materials are cut and allowed to dry out and turn brown before composting. They may look brown, but they still have the same nitrogen content as they did when they were cut. 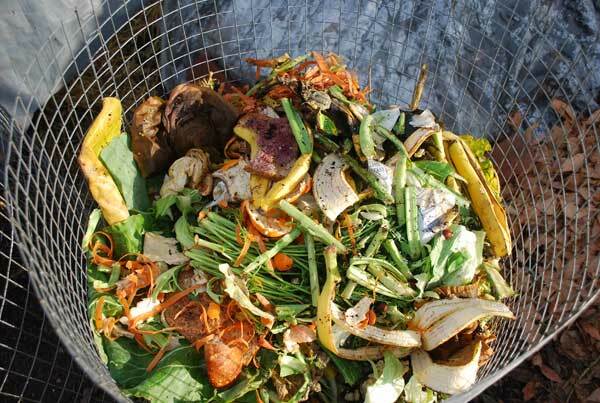 Compost ingredients include every part of the plant—leaves, stalks, and roots. In considering what to compost, you should know that each part of the plant contributes something unique to the compost pile. It helps to understand what happens to plants as they age. Young plants, like early spring grasses, are succulent and juicy, with higher sugar content and lots of nitrogen. In a compost pile, they break down very quickly and act as accelerants to increase bacterial populations and build compost heat rapidly. As plants grow and start to form stalks, complex starches are synthesized to fuel long-term plant growth. In a compost pile, they take longer to break down than simple sugars, but release more energy into the pile when they do, increasing compost heat in the pile. Like people, plants stiffen with time. They stiffen by adding cellulose and lignins to their stems, giving the plants the rigidity they need to support branches and a growing canopy of leaves, flowers, and eventually, fruit. In many plants, older leaves may synthesize phenols to deter pests, or waxy cuticles to reduce moisture loss and protect the leaves from diseases. In compost piles, these celluloses, lignins, phenols, and waxes are highly resistant to breakdown. If the pile is big enough, compost heat rises to the point where celluloses start breaking down, releasing tremendous amounts of energy. Celluloses fuel the hottest phase of hot composting. Lignins, phenols, and waxes are not broken down by the bacterial action of hot compost piles. The material around them breaks down, but bacteria can’t crack these tough molecules. As the compost pile cools, these ‘recalcitrant’ compost ingredients are broken down very slowly by a forest-floor, litter-dwelling ecosystem: orabatid turtle mites and other microarthropod "shredders", red compost worms, and beneficial fungi. Some of the lignins, phenols, and waxes, pass through the worm gut, where they’re synthesized into complex humic acids that enrich soils tremendously. The process begins in the final curing stage of the compost pile, but continues for decades when the compost is mixed into the soil. Young, green leaves, to get the pile going. Middle-aged, stalky materials provide the bulk of the energy for the hot phase of the pile. Woody materials and waxy leaves to feed the shredders, worms, and fungi when the compost pile cools down. Roots, to increase the humic content of the finished compost. This mixture of diverse compost ingredients produces compost with the greatest biodiversity. The carbon-to-nitrogen (C:N) ratio of compost ingredients refers to the balance between carbon and nitrogen in compost materials. In compost piles, nitrogen provides the raw material for building the bodies of the billions of bacteria and fungi that break down the materials in the pile, and carbon provides the energy to fuel their growth. "Green" compost ingredients have higher nitrogen levels, and lower C:N ratios (e.g., 15:1). "Brown" compost ingredients have much higher carbon levels, and higher C:N ratios (e.g., 400:1). The table below provides C:N ratios for common garden materials. As you can see, some garden materials have very high C:N ratios. Where a range is given it’s because of variability in the material. 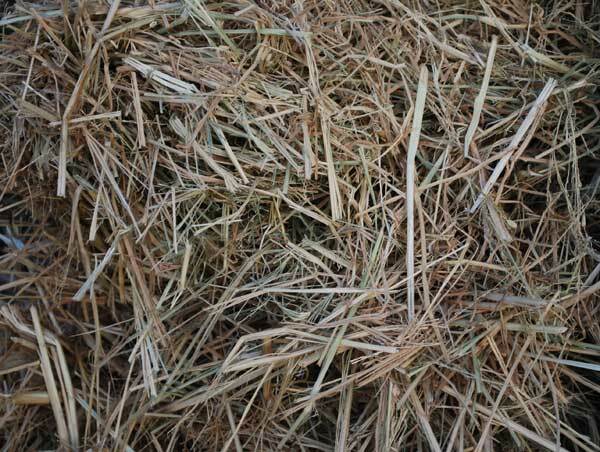 For example, young, green plants have higher levels of nitrogen than older, stalky plants, so the C:N ratio of hay varies depending on how old the plant was when it was cut. 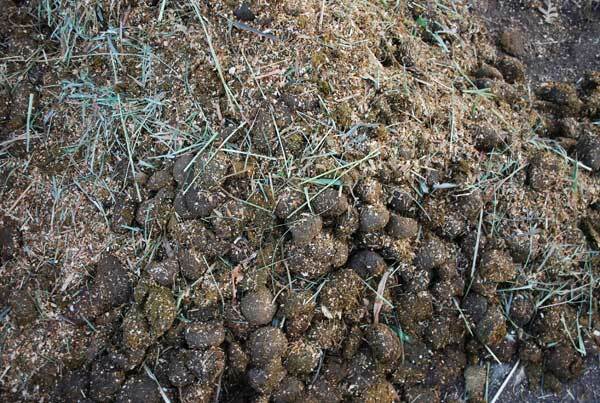 In manures, variability comes from diet and health of the animals, and the amount and type of bedding that’s mixed with the manure. Blending compost ingredients to achieve the right balance between carbon and nitrogen is an art, but it’s based on science. Knowing the C:N ratio of compost ingredients gives you some idea of how much of them to use in proportion to other materials in the pile. Where a range is given, choose the midpoint of the range when estimating proportions. If a compost material has a high C:N ratio—say, 500:1, like sawdust—use it in small amounts, and thin layers. Mix it with a low C:N material, like chicken manure, or coffee grounds (20:1). Use larger quantities of compost ingredients that have a C:N around 50:1—like tree leaves, and straw. With a little added nitrogen, these break down readily in compost piles. Ultimately, you just have to develop a feel for your materials, and what works in the compost pile. C:N ratios can give you a starting point. Some compost ingredients in the list below can be composted, but the proportions must be managed carefully and they need to be composted thoroughly in a hot compost pile. "Xenobiotic" materials: plastic, metal, glass, anything inorganic that won’t break down. Excessive amounts of aromatic leaves, like eucalyptus or rosemary. These give off allelopathic chemicals that inhibit plant growth. Dog and cat feces, litter box materials. May contain nasty parasites like Toxocara canis, a nematode transmitted by dog feces that infects muscles and the retina of the eye, and can persist in the garden for years. Toxoplasmosis, infection with the parasite Toxoplasma gandii can result from contact with cat feces or litter box materials. It often has no symptoms, but can lead to muscle aches and fatigue in immune-compromised people. It can also be transmitted from mother to fetus. It’s best not to introduce parasites shared by pets and humans into the garden, especially when they’re persistent and hard to eradicate. Meat scraps. May attract rodents and breed flies. Grease and fat. Same as above. Excessive dairy waste. Same as above. Excessive salty materials or pickles. Can inhibit breakdown in the compost pile and increase sodium levels of finished compost. Walnut leaves, twigs, and seed husks. These release jugones, allelopathic chemicals that inhibit plant growth and are toxic to tomatoes. Diseased plants. 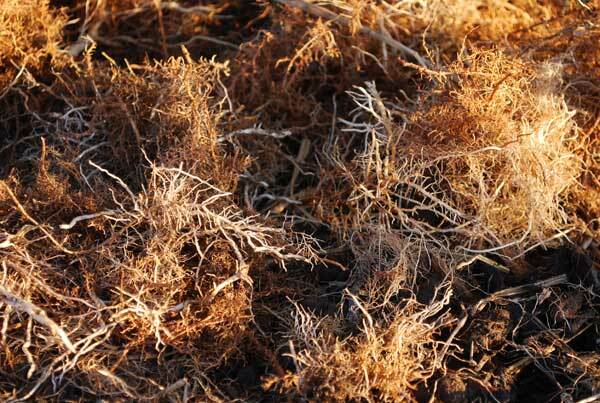 Uneven compost heat may result in the spread of plant diseases. All but the first item can be composted in a hot compost pile by someone who knows what he or she is doing.